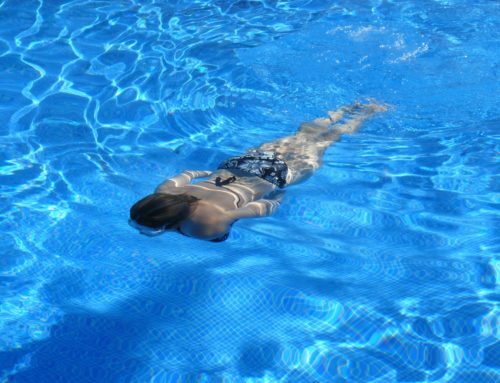 How to Find a Water Leak in Your Pool Fast - Texas Fiberglass Pools Inc.
Everyone loves to be out in the health-boosting sun while floating along in a beautiful pool. It’s a luxury that is hard to beat, especially in the summer. But pools of all types can get leaks from time to time. If you’re beginning to notice a severe change in your water level, it’s time to figure out what the problem is. Not all of us know how to find a water leak in an efficient way. Is there a leak or is it paranoia? We’re here to help you detect any water leakage and to get you back swimming carefree as soon as possible. 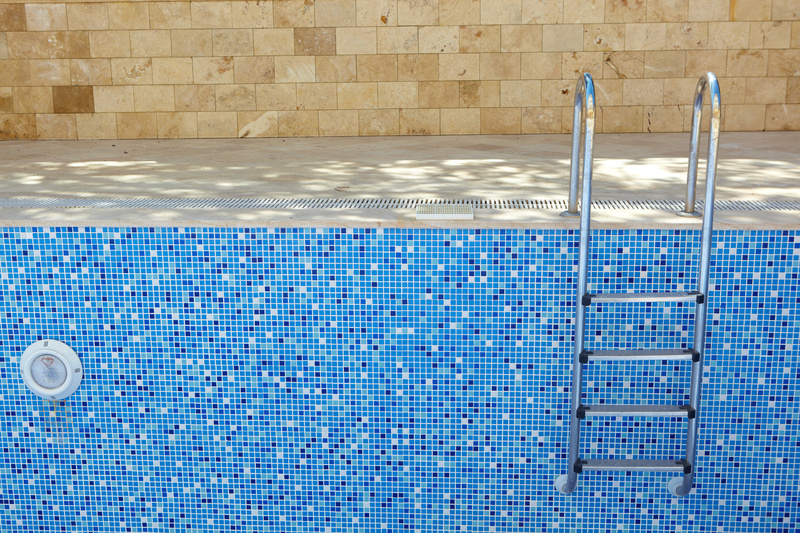 There are different reasons why your pool may have a leak. Not all of them are preventable. Sometimes general wear and tear will break down the lining of your pool and it will need replacing. 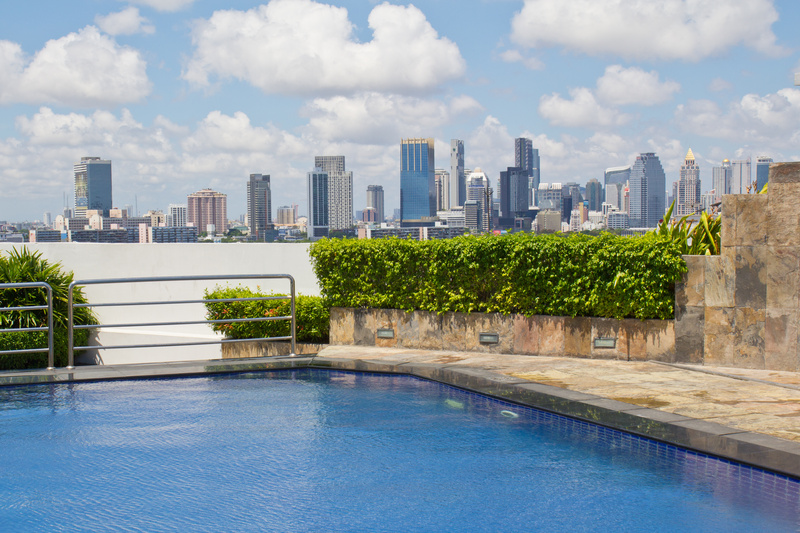 The type of pool also has an impact on the chance for leaking. 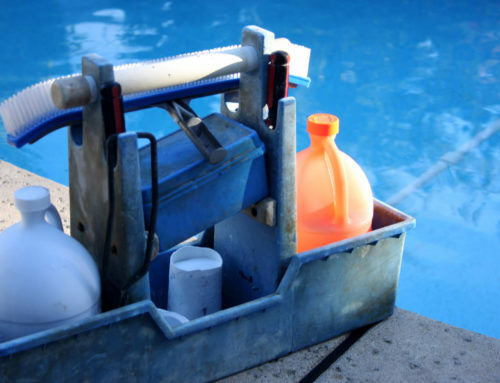 It’s also possible that the water your pool is losing isn’t due to a leak. If you have kids who love to splash around, the water drainage could be coming from that activity alone. General evaporation is also a cause if you’ve gone through a long drought. But always take the time to be certain and check for a potential leak source. When you’ve begun to worry about your pool’s fluctuating water levels, the first thing to do is a bucket test. This won’t tell you any specifics, but it will tell you whether or not there is leaking happening in your pool. Fill your pool to its normal level and then fill a separate bucket. Mark off both of these starting points. Wait at least 24 hours and then check on both of the water levels. If they’ve lost the same amount of water, then there is no leak problem in your pool. The water is only evaporating at a normal rate. If your pool has lost more inches than the bucket, then chances are high that it is leaking. 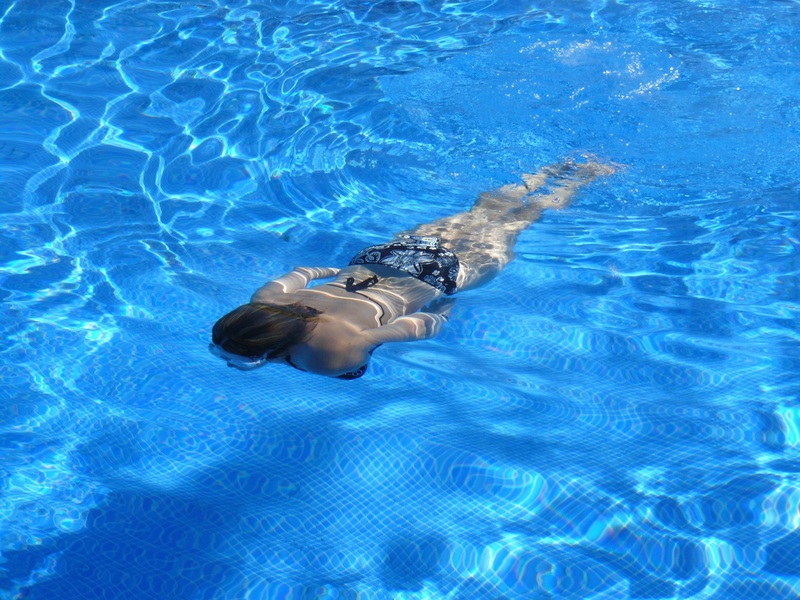 There are four areas in a typical pool that are the most prone to leaking. By going through each area one step-by-step, you’ll narrow down the culprit in no time. Each of these tests starts in the same way. 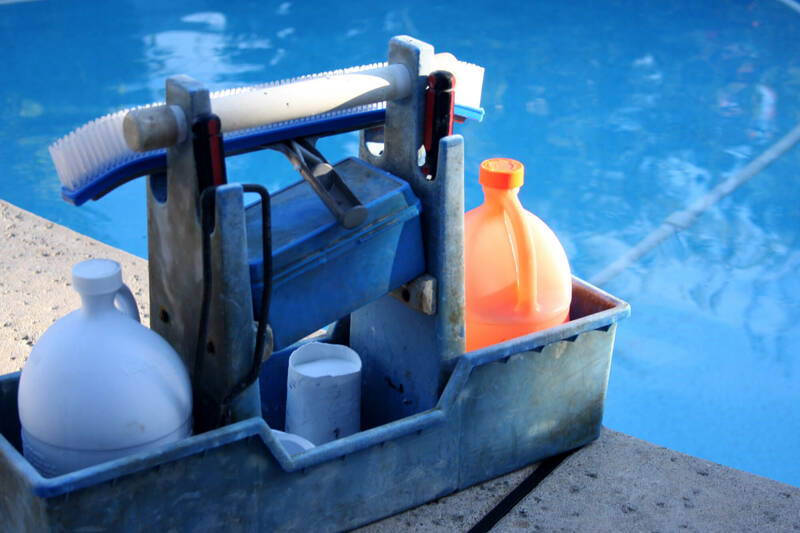 To begin a pool leak detection test, you’ll want to plug up your pool’s plumbing. Similar to the way you would if you were to winterize your pool. Fill the pool up to its normal level and shock it, as it may be several days before it can run again. Then wait until the water stabilizes to a steady level. The water will begin to drain to the problem level. Often there will be debris dragged towards the leak which can be a big clue as to where the problem is. This tells you the height of the leak area and where you should investigate. Vinyl pools are the worst culprits of this kind of leaking. The vinyl is vulnerable to all kinds of small tears and cracks that allow water to leak out. There are also particular areas for the plumbing and the lights that are prone to tearing. 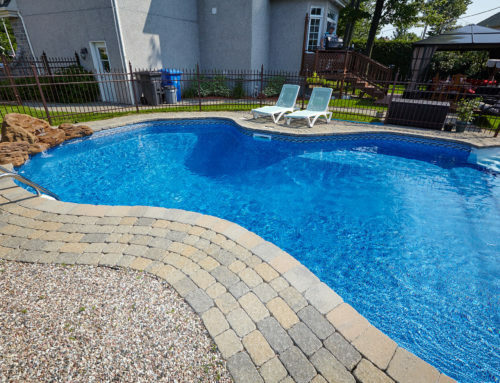 Other pool types, such as concrete or fiberglass, can have cracks form around the stressed areas of the pool’s shell. These cracks create a leak source that will begin to drain your pool. 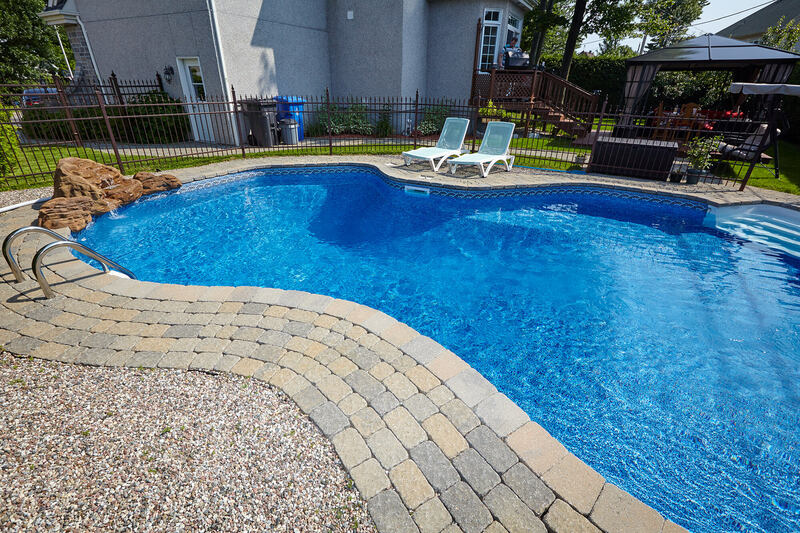 You can spot debris gathering near the outer shell of your pool, indicating a leak. Otherwise, pool dye works instead. A couple of drops near the problematic area should show you the dye making its way straight for the leak in a clear current. If you’re unsure where to begin, start in one place with a few drops and make your way around the pool until you find that leak. If your pool has lights embedded into the walls, a leak could begin to form there. Shifts in the ground around it or even freezing damage can cause the light’s socket to crack and form a leak source. Seal off your pool once more and wait for the water to stabilize. If the water has stopped draining right around the top of a light, then chances are high that the leak can be found behind the light’s chamber. After you’ve sealed off your pool’s plumbing and you’ve waited at least 24 hours for the water to stabilize, you may notice it hasn’t leaked at all. The plugs are keeping the water from getting into the plumbing, and the water hasn’t moved at all from when you last filled it. This is a clear indicator that the problem is in the pool’s plumbing. To investigate which part of the plumbing is leaking, keep the main drain plugged up but unplug the skimmer. If the water is still leaking away, chances are, the main drain is the problem. The filtration area is another problematic place. Faceplates might not be screwed in tight enough, or rust might have damaged the inner workings of the skimmer. The dye droplet test can show you whether the skimmer is the problem. It’s a good idea to take a visual look at your skimmer regardless of any dye currents. Most often you can see cracks, rust, or other kinds of damage that would be the reason a leak is occurring. Leaks that continue on unheeded can cause a lot of problems. 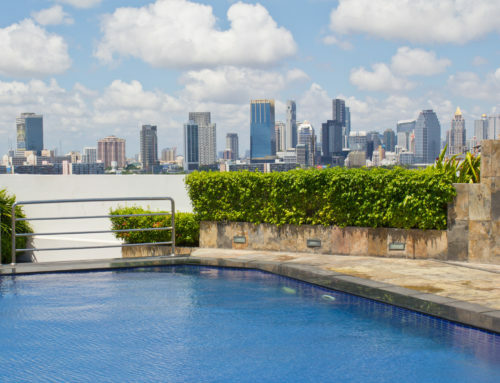 Those problems can be severe depending on the type of pool you have. The leak could cause the foundation to become damaged over time, giving the potential for the pool to be damaged as well. It’s always a good idea to keep a general eye on the water level of your pool. You don’t need to go measure it every day, but a cursory look every couple of days could save you headaches in the future. And now that you know how to find a water leak, you’ll have no trouble getting to fix the problem fast. Calling a professional can make leaks go away in a flash! Contact us at any time for all of your pool needs!